We are a leading Manufacturer of ophthalmic equipment for hospital from Indore, India. With our top to bottom learning and experience, we are occupied with offering a wide show of Ophthalmic Equipment for Hospital. These equipment are made by utilizing top of the line apparatuses under strict rules to keep up its generally acknowledged standards. The offered equipment are acclaimed for their thin, minimized and light weight & gave according to the need of clients. 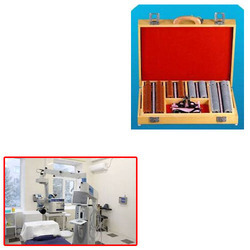 Looking for Ophthalmic Equipment for Hospital ?